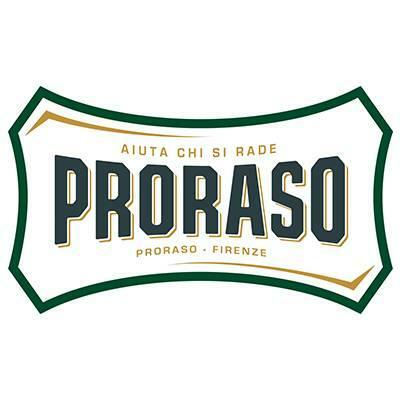 The red series Nourish from the Italian manufacturer Proraso with sandalwood oil, shea butter, coconut oil and glycerin is particularly suitable for strong beard growth and dry skin. The ingredients soften the beard quickly, thus facilitating shaving with thick cartridges, while at the same time the skin is sustained well. Thanks to the thick and creamy texture, the foam protects your skin like an invisible shield and facilitates the glide of the shaver, avoiding irritation and micro cuts. For a pleasant, quick and easy shave. Moisten your face with warm water. Shake the can easily and hold it vertically. Place a small amount on the palm of your hand, briefly apply the foam, then start shaving. Dry the can after use. Aqua (Water / Eau), Stearic Acid, Triethanolamines, Butanes, Laureth-23, Glycerin, Butyrospermum parkii (Shea) Butter, Santalum album Oil, Theobroma cocoa Seedbutter, Sodium Lauroyl Sarcosinate, Perfume (Fragrance) , Isobutanes, tetrasodium EDTA, sodium metasilicates, propanes, sodium hydroxymethylglycinates, pentaerythrityl tetra-di-t-butyl hydroxyhydrocinnamates. Related links to "Shaving Foam Nourish -Rossa- 300 ml"
Customer evaluation for "Shaving Foam Nourish -Rossa- 300 ml"